Telvision Services are available from many different providers - cable, satellite, Internet TV (GoogleTV, Apple TV) to digital over the air free tv. Each TV provider has it's strengths and weaknesses. Only problem is finding the best phone deal for your particular situation/location. 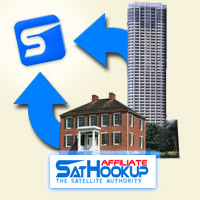 What is SatHookup SatHookup is the place you go to get all of your TV needs - whether at home, business or on the go - the SatHookup Network has you covered! Why SatHookup We carry almost all tv service providers (Satellite, Cable, Digital TV) and the ones we don't, we allow to advertise on our site so you can decide what is best for your television needs. 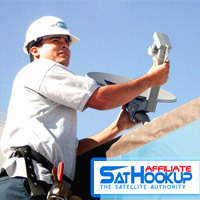 The SatHookup Network is an online directory of local tv services, along with the most up to date listing of active satellite and cable installers. We support local, efficient business. 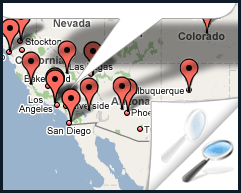 The SatHookup Network is made up of local satellite installers and home theater specialists to provide fast installation and repair no matter where you go in the United States. SatHookup has satellite, cable, fiber optic and other digital television services from many providers depending on your service area. Many locations have several tv service companies to chose from - meaning we can help choose the best package for you, or just provide the info and you can order online. Either way you're supporting small businesses that create jobs while getting the best rates when phone companies compete. SatHookup's prices are the same as going direct with the giant provider - but you have two companies working for you now. Make your funds count! SatHookup has many options to turn your small business phone system into enterprise status. Use Cable Internet to run a VIOP (Voice Over Internet Protocol) phone which can forward to your cell phone or classic land line phone. 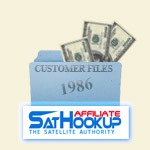 If you have a website that gets traffic you should join the SatHookup Affiliate Program and turn your visitors into customers. Do you already have a business that gets you into people's homes or offices (cleaner, real estate agent, mover)? You could be generating extra income by providing tv, internet and phone services to your new and existing customers.